Our services don’t stop at medical care, we are constantly finding new and interesting ways to keep the resident’s minds and bodies as active as possible. Sometimes that involves sitting on the verandah and simply enjoying the sea views and the sounds of nature that surround our cottage hospital. Activities are developed within the ability of each patient. Social events, formal parties, festive days and seasonal celebrations are always popular and we endeavour to cover a wide range of cultures and pastimes. An ongoing activity programme is developed by our activity therapist with plenty of input from residents and relatives. We always welcome ideas and contributions from families and friends. 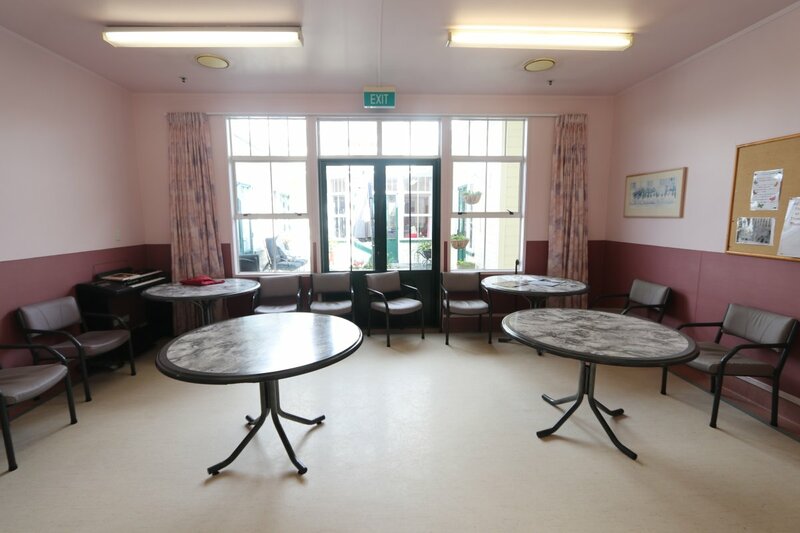 Group activities include bingo, bowls, movement and music, word games and the very popular trivia quizzes. Residents join in with painting, and art and craft sessions. There are a number of visiting musicians who provide different sorts of entertainment and sometimes the local primary school visit with displays of cultural song and dance which everyone thoroughly enjoys. This hospital is a part of the community and that in itself adds to the residents feeling like this is not just a hospital, it can also be a home. Visits to clubs, when possible is encouraged, for instance, Stroke Club, cultural clubs, Communicare and the local RSA are all regular places to visit. Residents also enjoy an outing on the wheelchair bus each week. We take morning tea and visit somewhere different to take in the views and experience another part of Auckland.